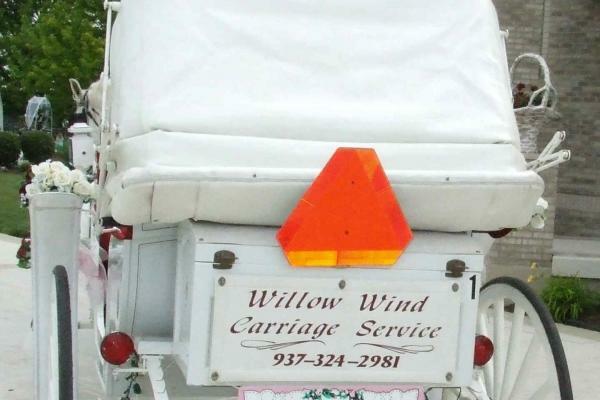 Willow Wind Carriage Service will strive to make your wedding transportation a magical and special time to remember. 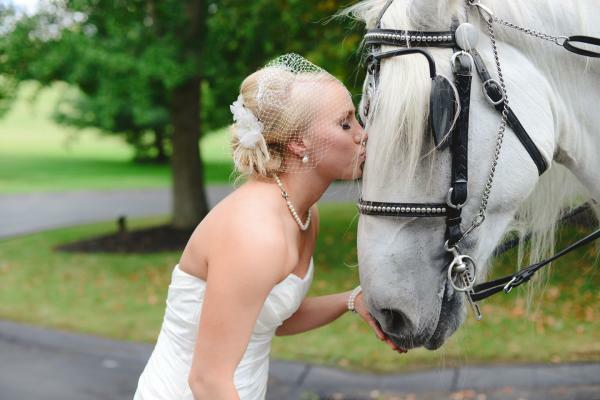 With the gentle clip-clop of the horse's hooves it gives you time to sit back and relax after you have been pronounced man and wife, and before all the festivities begin at your reception. 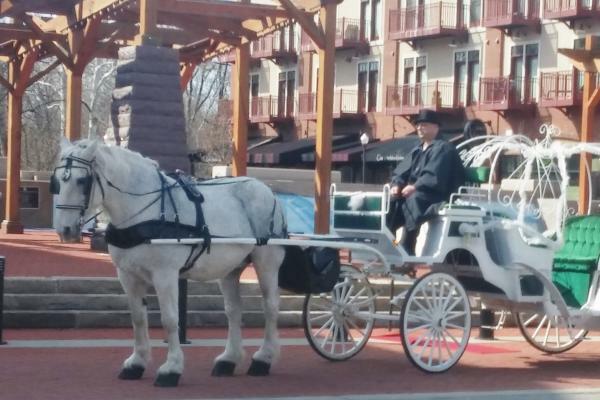 Please ask us about a combination of a carriage with a vehicle if it too far to travel to the reception. We will be glad to assist you with your plans. We will do whatever we can with safety in mind to accommodate your plans and try to make your wedding day uniquely yours. 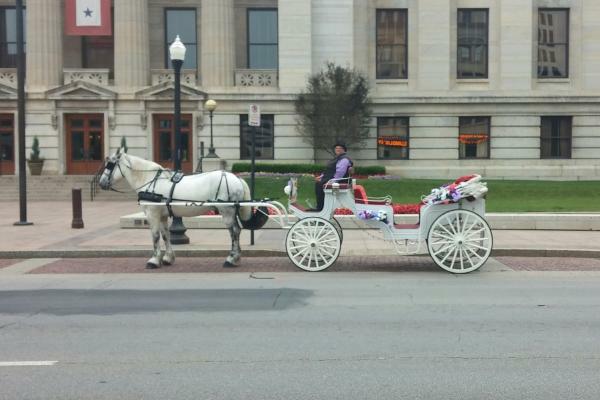 It is up to the bride and groom to decide which carriage to use. 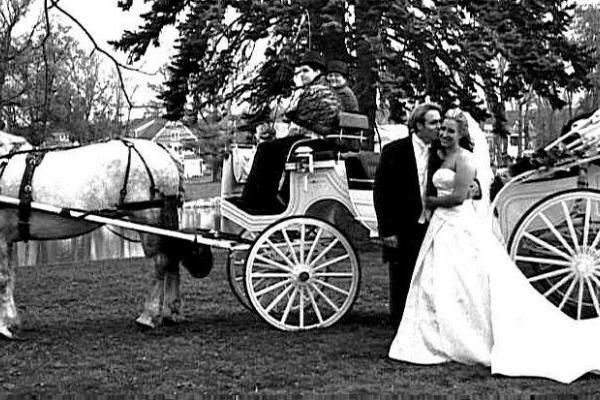 The Vis-a-Vis gives a little more room getting in and out, and the Vis-a-vis Limousine carriage or Wagonette allows you to include your wedding party in the carriage ride. 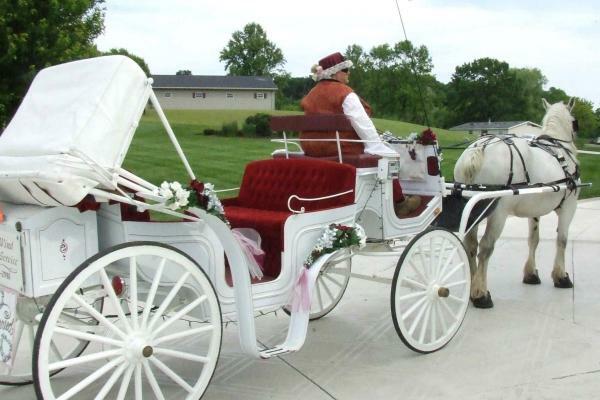 The Noble Cinderella carriage and the Vis-a-vis Cinderella carriage are options for the brides who want a fairy tale addition to their wedding. 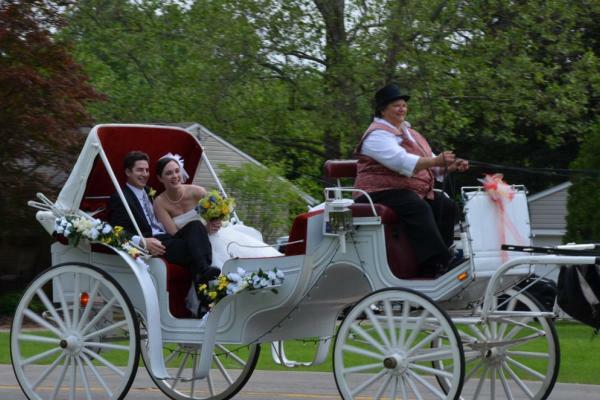 Another option is to hire a smaller carriage for the bride and groom and the Wagonette or the Vis-a-vis Limousine carriage for the wedding party. 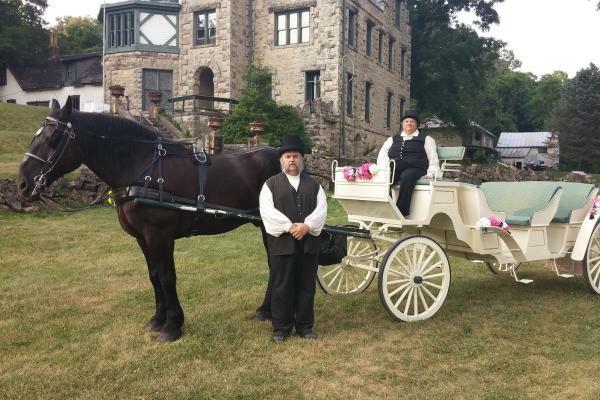 Please visit our carriage page to look at all the carriages available and to pick your favorite. 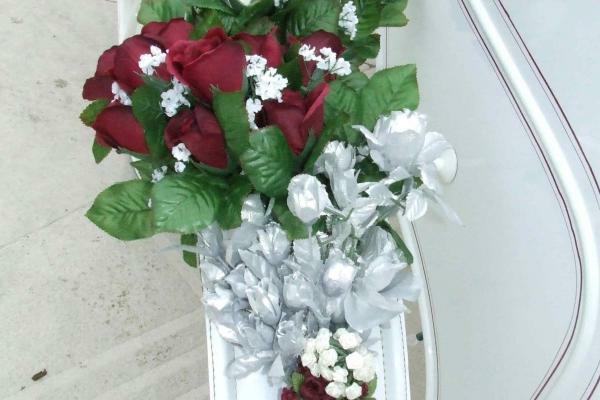 We will work with you as you finalize your plans to make this day as special as you can imagine. 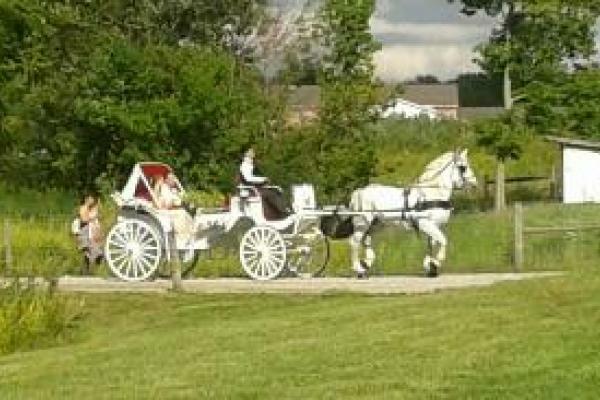 The wedding service includes custom decorations on the carriage in your wedding colors and your choice of horse color.